The Vikings, as has been their mode of late, were very active on the Round One day of the NFL draft. First, they traded down, albeit slightly, to take a gamble on Anthony Barr at the 9th pick overall. Barr, who became an outside pass-rush threat in his last two years in college was converted from a fullback. He's got wicked athleticism, but very little experience. 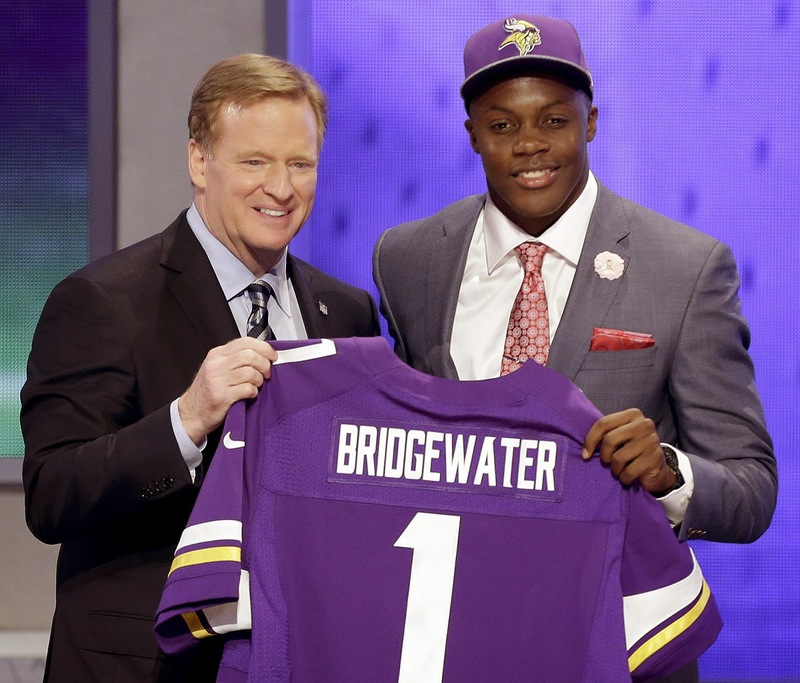 Then, later in the draft the team traded with Seattle to acquire the last first round pick, and took Teddy Bridgewater. The quarterback saw his draft day fortunes fall as his official workout went quite poorly, and multiple teams soured on him. Still, his statistics don't lie, and the numbers he put up at Louisville were pretty darned impressive. The bottom line is that neither of this picks are a cinch. While both address glaring team needs, both come with substantive risks. Still, it seemed like risks worth taking. If one pans out, it will be a successful draft for the Vikings. If neither work, it will be a massive disaster; one very difficult from which to recover. But if both work, my goodness, it could substantively change the team for years to come.